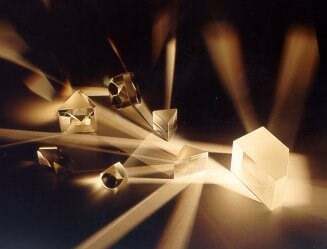 Cleaning optical elements improves performance, providing proper materials, techniques and handling procedures are used to minimize the risk of damage. Optics can be contaminated in many ways. Contamination can be kept to a minimum by returning the optics to their case after use or by covering the optics for protection from the outside environment. However, even with all these precautions, the optic will eventually accumulate dust, stains or some other form of contamination. During inspection, all optics must be handled in the cleanest area available (preferably a cleanroom or within a laminar flow bench). Proper equipment, such as powder-free cleanroom gloves or finger cots must be worn at all times to avoid grease and oils from being transferred to the optic. Lens tissue paper, dust-free blowers, hemostats, cotton swabs, cotton tips, and reagent-grade acetone and methanol, will all be needed for cleaning optics. The acetone and methanol must be fairly fresh to avoid leaving any marks on the optics. Reagent-grade isopropyl alcohol can also be used instead of acetone. Scratches can result from improper cleaning methods. Pro Tip: Clean optics against a dark background so dust can be seen and eliminated more efficiently. • An optic can also be visually inspected by holding it below a bright light source and carefully viewing it at different angles. This will cause the light to scatter off the contamination enabling the viewer to see the various stains and dust particles. Avoid touching the surface of the optic with unprotected fingers! Always wear powder-free gloves or finger cots. The first step in cleaning any kind of optic is to remove dust or loosely held particles by blowing them off the surface using a dust-free blower (use a dry nitrogen or CO2 blower) or a camel hair brush. This reduces the chance of scratching the optic during the actual cleaning. Other pressurized gas products are not recommended because the propellant could be released onto the surface in the form of liquid droplets. NOTE: This is the only cleaning method allowed for bare metal, soft coatings and pellicles. These types of surfaces should never be touched. Precision optics should be handled properly while cleaning. Here, the prism is held on the frosted surfaces. For this procedure the optic will have to be removed from any mount it is in, and placed in a cleanroom environment. In many cases it is beneficial to clean the edges of the optic first to prevent dirt or excess polishing compound from being drawn onto the polished surface. • Use the blowing method first. • Place a drop of methanol or reagent-grade acetone on the side of a lens tissue paper. With the other hand, hold the optic by its edges. • Gently place the wet area of the tissue onto the optic. • Slowly drag the lens tissue across the surface applying equal pressure until the lens and tissue are dry. • If required, repeat method with a fresh lens tissue paper. CAUTION: Be careful not to drag a piece of dirt across the surface as this could scratch the surface. If the optic cannot be taken out of its held position or if stronger cleaning is required, then the next step will be to wipe using lens tissue paper along with methanol and acetone. • Fold a piece of lens tissue paper to create a folded edge that is a little longer than the size of the optic. A hemostat is particularly suited to securely hold the folded tissue. • Wet the folded edge of the tissue with acetone. • Wipe the optic with the lens tissue paper with one continuous motion. Apply some pressure on the wipe to remove stubborn stains. Repeat this process, always with new lens tissue paper to eliminate depositing any contamination on the optic. A final wipe with methanol is recommended since methanol does not leave streaks on the surface like acetone. Isopropyl alcohol is also effective, but it too can leave streaks like acetone. It is usually better for cleaning laser optics exposed to particles (in an uncontrolled environment or outside of a vacuum chamber). If the size of the optic is very small, cotton tips can be used instead of lens tissue paper with the same procedure. CAUTION: It is important that the tissue paper be dampened with acetone or alcohol before use and that the surface not be scrubbed back and forth, which would increase the likelihood of surface scratches or damage to a coating. Small optics or optics that require milder cleaning than the wipe method can be cleaned by the immersion method. • In this method a Petri dish is lined with lens tissue paper and filled with methanol. • Once in the Petri dish, clean the optic gently with a soaked cotton ball. • Once wiped, agitate the Petri dish for a few minutes. • Repeat steps 1 through 3 with acetone instead of methanol. • Next, remove the optic from the Petri dish and blow-dry. • If stains occur because of the blow-drying, use the drop and drag method described above. CAUTION: Do not use this method with cemented or mounted optics. Metallic coatings vary in hardness and durability and so should be treated with extreme caution. • Use a soap solution and clean with either the wipe method or the bath method. • Rinse thoroughly with deionized water in a Petri dish. • Cleaning with methanol and acetone (wipe method or bath method) should be next. • After rinsing, blow-dry with a dust-free blower to remove all water. One other cleaning option is to use an ultrasonic bath. This method is the same as the bath method, except all the Petri dishes are placed in an ultrasonic bath for about one minute. Please note that even with dielectric coatings, the use of the ultrasonic bath may cause the coating to flake at the sides where it has the weakest bond. Ultrasonic cleaning is an automated multistep aqueous process for the cleaning of substrates prior to coating. 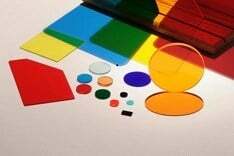 Historically, optical components such as mirrors and beamsplitters have been cleaned by hand, using lint-free optical wipes and reagent-grade acetone or another liquid solvent such as methanol, ethanol, 97 percent pure isopropyl alcohol, methyl ethyl ketone (MEK) or methylene chloride (MEC). 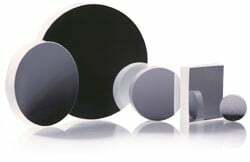 Some inorganic acids such as trichloroethylene (TCE), hydrofluoric acid (HF) and hydrochloric acid (HCl) may be used on uncoated silicon wafers, and nitric acid may be used on germanium substrates. Acidic solutions, however, should never be used on coated or uncoated zinc sulphide (ZnS) or zinc selenide (ZnSe) components. Acetone is very good at dissolving grease, but it dries very quickly and always should be handled with acetone-impenetrable gloves. In general, isopropyl alcohol is a safe and effective cleaner – except for cleaning aluminium coatings. Because alcohol reacts with aluminium, it should never be used on protected or bare aluminium-coated mirrors. Methanol and most acidic solutions can be toxic or damaging to optics or coatings if misused, so care should be taken to follow the instructions provided by the manufacturer. Liquid CO2 is a new technique that is used to remove oils and microscopic particles from optical waveguides, electro-optical devices, silicon wafers and a variety of biomedical, aerospace and semiconductor components. This process delivers a precisely controlled and purified spray alternated with warm air cycles to the optical surface. Because CO2 is noncorrosive and relatively nontoxic, it is safer to use than many traditional solvents, but it requires nontraditional procedures and a controlled, moisture-free work environment and so may incur additional expenses. In the long term, however, it may turn out to be a less expensive and a more effective means of achieving ultraclean surfaces, possibly resulting in coatings with higher damage thresholds. Once you have cleaned the optic, place it in the mount it will be used in or wrap it in lens tissue and place it in its container right away. The proper container to use is a polycarbonate/PTFE/PET-G box, in a cleanroom environment. The room temperature should be kept between 15 and 25 °C (60 to 80 °F). Ideally, humidity should be controlled and kept below 30 percent. CAUTION: Do not use a polypropylene box. Studies have shown that permanent outgassing of the storage box leads to adsorption of products detrimental to laser resistance of coated optics. Thank you to Floriane Teofanescu, technical sales representative, for her contributions to this article.